I wasn&apos;t sure whether to be totally impressed, absolutely obliging, wildly insulted, or adamantly defiant. To shoe or not to shoe?... that is the question. At least it&apos;s the one up for debate when you walk into someone&apos;s home... or when someone else walks into yours. When we put this video up on the Momtrends Facebook page earlier this week, we saw a huge surge in interaction. Yes, people outside the United States find our shoe habits appalling--and it&apos;s not hard to see why (ugh, even thinking about street bubble gum on the sole of my shoe gives me a case of the shudders.) 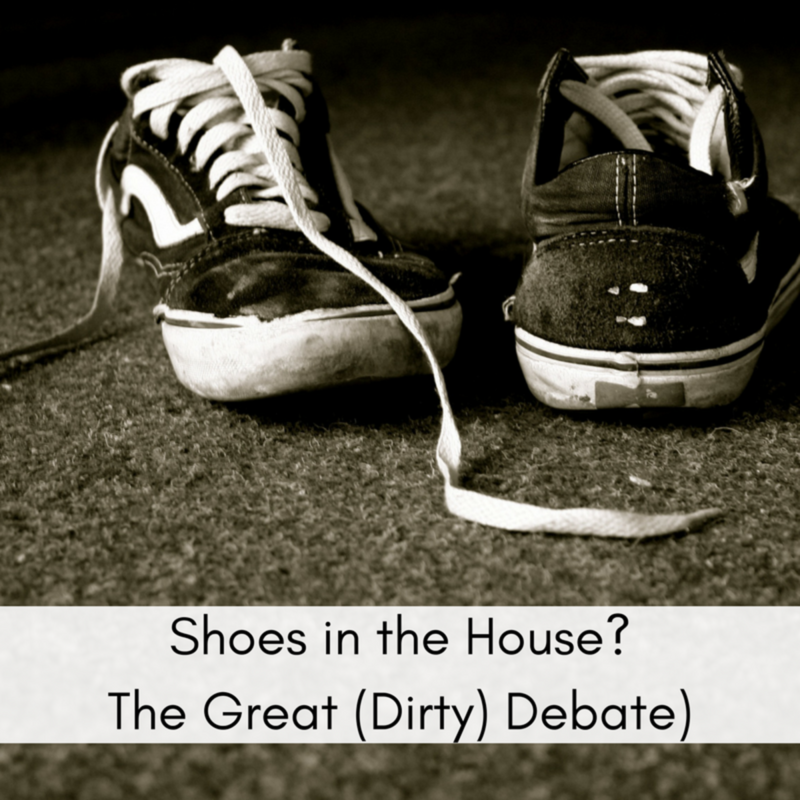 Clearly, the shoe-in-house divide struck a cord with our community... and so we thought--let&apos;s do a deep dive. And so here I am, writing about shoes (or lack thereof) inside the home. Hey, we keep it real and well-rounded at MT HQ--one day it&apos;s a luxury ski resort review, the next it&apos;s attainable fashion choices, and then finally stinky, dirty shoes in the house. Personally, I prefer to go sole-free in my house. I have two young kids who eat off the floor, roll around on the carpet, and lick the tile on a dare; it just seems like the obvious choice. Why drag in dirt and germs? I walk everywhere and I frequent the filthy street of New York City--so, yeah, removing shoes is pretty much a no-brainer. My kids, family, and close friends are well trained too. The second they walk in my door, they remove their shoes. No harm, no foul. It&apos;s when distant friends, school-mom acquaintances, delivery people, hired help, babysitters, and even my hair girl walk in the front door that things get a little tricky. I&apos;m relatively flexible, but I try to stick with my gut. You have to be willing to have an awkward encounter or two to keep this household rule a priority. Ready to be more strict about your footwear policy? Considering making the change to become a totally shoe-free household? Here are a few pretty convincing arguments--and some tips to make it a little less uncomfortable for you and your guests. 1. Science Says So: A study by the University of Houston uncovered the cringe-worthy fact that there’s a 26.4% chance your shoes are carrying the infectious bacteria Clostridium difficile. C. diff. is frequently found in human or dog feces and causes problems, including diarrhea, dehydration, colon inflammation, and nausea that can last for days, weeks, or even months. And another study cited that there an average shoe from outside is festering with approximately 421,000 bacteria. Oh, and e-Coli too. 2. You&apos;re Hurting Your Hard-Wood Floors: Keep your beautiful hard wood floors looking shiny and new. 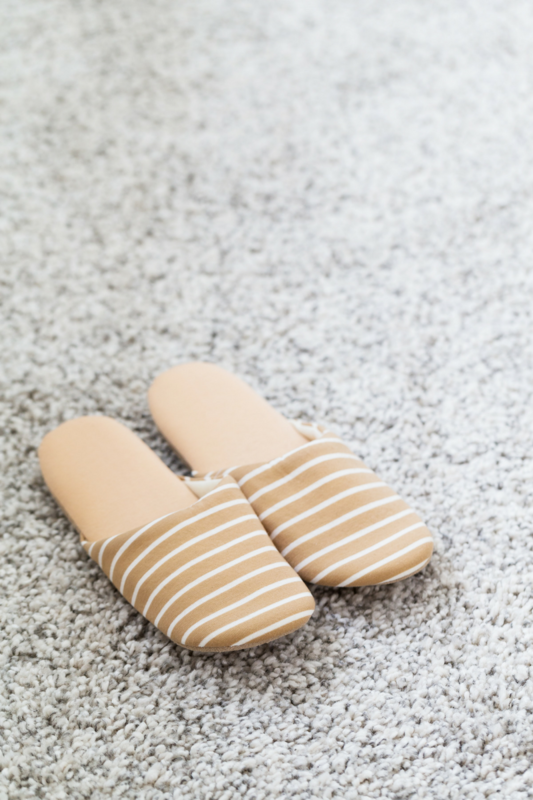 Some shoes and heels can cause scratches, nicks, and abrasions on those precious wooden surfaces or snag and rip those expensive carpets sand rugs. 3. Keep Out Chemicals: Shoes can pick up and drag in pesticides and fertilizers. A walk on the wrong lawn and then a hop, skip, and jump in your living room, and you could potentially be exposing your family to all sorts of foreign chemicals. 4. 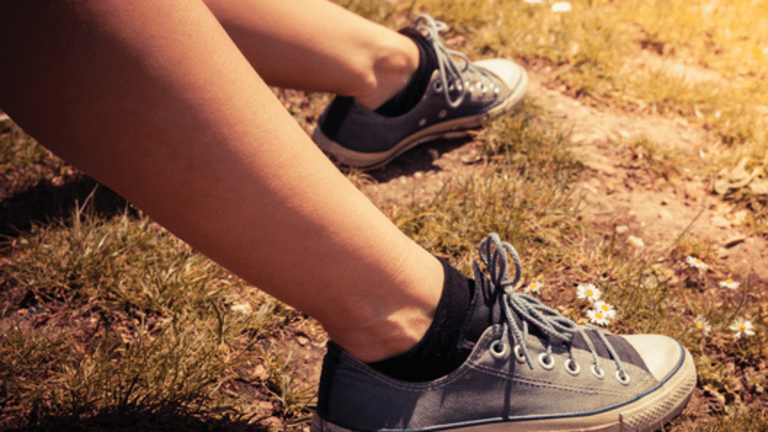 It&apos;s Just More Comfortable: Taking your shoes off when you get home just feels good--plaain and simple. It instantly signals the mind to unwind. Get yourself a pair of delicious, cozy slippers or fuzzy socks to lounge around in at home and you&apos;ll love the relaxation factor. Prefer a more structured shoe? Designate a pair of Tom&apos;s as your "inside shoes." 1. Leave Out a Goody Basket: If you expect guests to take off their shoes when they enter your home, you might consider keeping a basket of new socks or slippers by the door for them to take and wear. 2. Give a Heads Up in Advance: Hosting a big shindig at your house? Put your policy in writing in an email, on an invitation, or even via text. Give people advanced warning so they can prepare by getting that elusive pedicure or by wearing matching socks! 3. Use Humor ... and a Letter Board Sign: Letter board signs are all the rage these days--so why not leave a silly, but meaningful message for your guests to see as they walk in? It does the job for you--so you can avoid an awkward conversation. So, what&apos;s your take? To shoe or not to shoe? Leave a comment and let us know your thoughts!